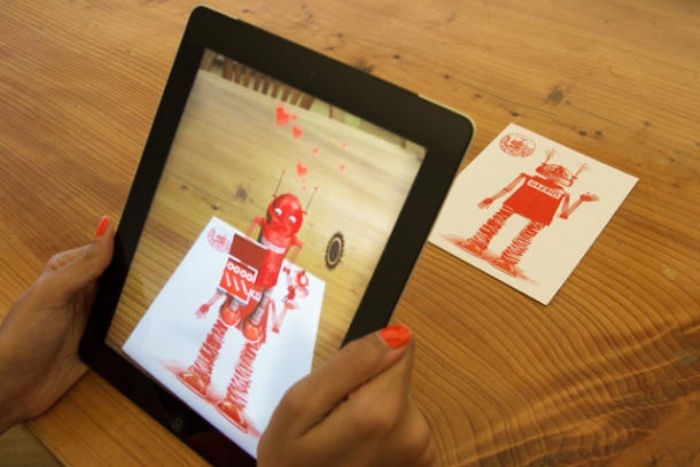 Augmented Reality Gives Greeting Cards a Virtual Facelift | OhGizmo! By Hazel Chua on 07/26/13 • Leave a comment! Greeting cards have been around for decades. It’s time they got an upgrade, don’t you think? That’s what tech company DAQRI is trying to do with their Gizmo Kickstarter project. 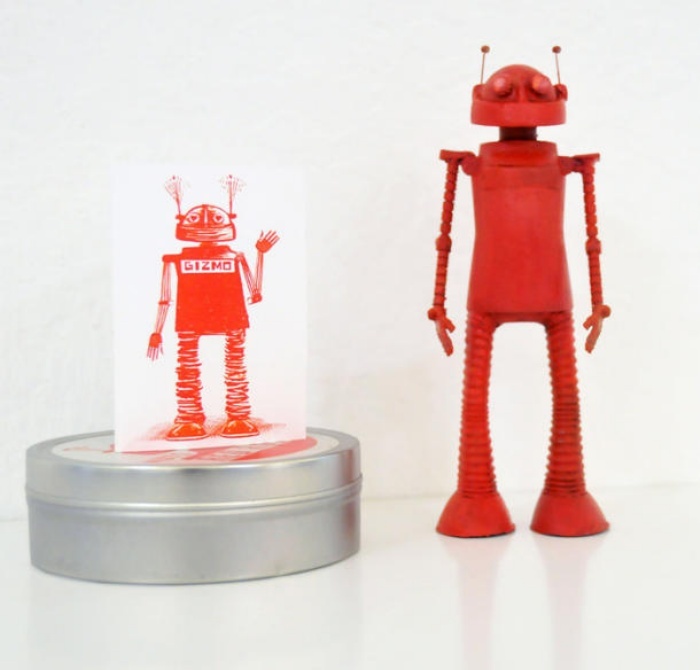 They look like typical greeting cards…until you point your tablet towards it. Instead of seeing the plain card on your screen, it’ll literally come to life with a short but fun interactive animation. The cards can be customized depending on the occasion or event being celebrated, including birthdays, Christmas, and Valentine’s day. In order for the stickers to work, the DAQRI app has to be installed beforehand. The Gizmo: Augmented Reality cards can be yours if you back their Kickstarter campaign. An $18 pledge will get you five cards and twelve stickers.